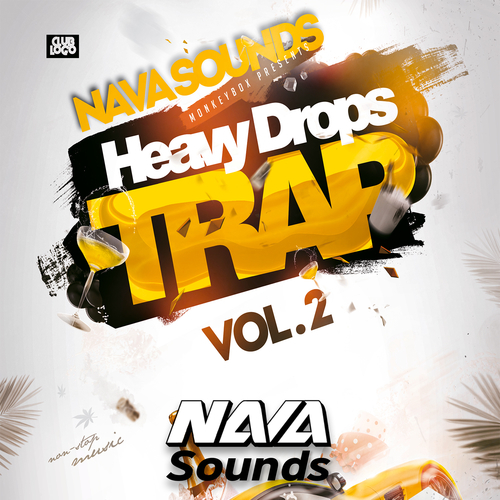 Trap Heavy DROPS Vol.2′ from Nava Sounds combines 5 Construction Kit perfect for creating EDM Trap and Hybrid Trap. You’ll get a total of 6 Construction Kits, all of them available in 24-Bit/44.1kHz WAV Stem format. All of the sounds are 100% Royalty-Free. Each Kit is provided with the BPM and key information in the filename and is presented both with a full mix and its component parts. Each Kit folder includes the Construction Kit number, BPM and key information. This download features trapped-out stacks of drums along with the airy synth lines, deep sub-bass bombs and sweeping transitional FX and drum build making for an essential collection to the contemporary Trap, Dubstep, and Hip Hop producer’s arsenal. Each Kit is provided with the BPM and Key information and presented with a full mix and its component parts. The consistency of key, BPM and sound across this collection allows the producer a wide range of creative freedom in mixing and matching loops. Each filename includes the Construction Kit number, BPM and key information for the loop. BPM & Key Information Incl.